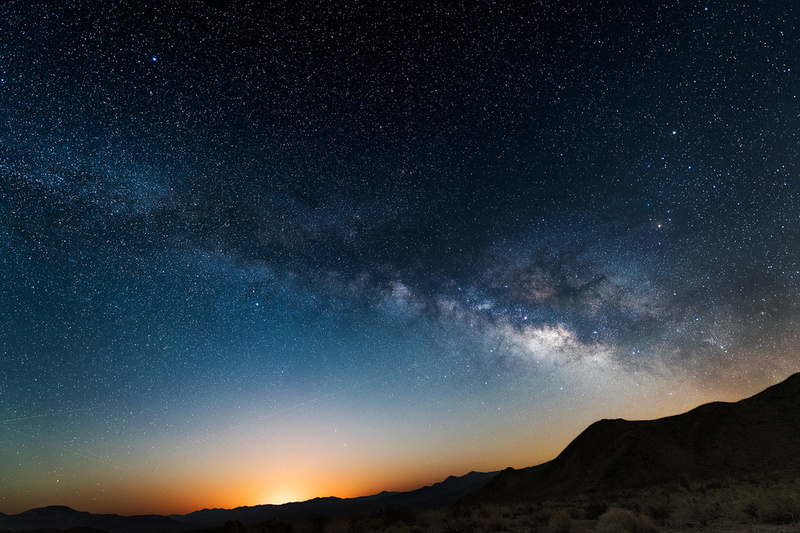 I planned my trip so that I could spend at least two days in the Mojave Desert and get some Milky Way shots. The last night of shooting the moon was finally rising and I was about to leave, but the faint orange glow of the last frame made me think that I could wait a little more and add that element to the shot. I took the final shot with the moon just below the horizon and I really liked it.